Where does the MLCV stand on the Keyston XL Pipeline? Is DTE still using coal, and how can we reduce it's usage? Who backs the ads for Citizens for Michigan's Energy Future? Where do you stand on burning tires as a source of renewable energy? Michigan League of Conservation Voters held this event to discuss the importance of clean energy and creating jobs while protecting the environment. 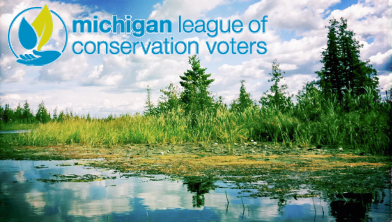 The Michigan League of Conservation Voters is the leading non-partisan political voice for protecting Michigan’s land, air, and water. They use their influence to elect and hold accountable public officials to ensure the right policies are enacted to protect our families’ and future generations’ health, economic well-being, and ability to enjoy the pure beauty of their state. Guest Speakers addressed questions, comments and concerns from participants and also conducted 3 poll questions on the call. The call concluded with hosts urging participants to get involved and to remain committed to clean energy sources for the state of Michigan. Produced by Winning Connections.